Palladium sued Wizards of the Coast for including conversion notes for the Palladium system. The 1995 edition is expanded, and the Palladium references are removed. 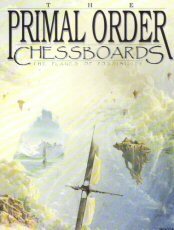 "Even in divine games of chess, the action begins with a clash of pawns. 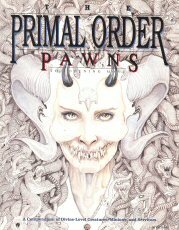 In Pawns: The Opening Move, the first supporting product for The Primal Order, you will find a collection of powerful minions, monsters, and other entities waiting to help you add some extra excitement and challenge to your game world. Whether you're searching for divine servants to intercede between your PCs and their distant deities, mighty beasts to defy even your strongest party, or just a few fascinating creatures for your adventurers to glimpse and wonder about, you need look no further." 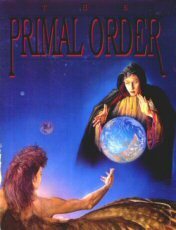 "Everyone who's read The Primal Order knows that deities need to build strong religions. In Knights: Strategies in Motion, you'll see how three fictional deities approached this task. For those interested In the mortal side of things, there are notes on worshiper lifestyles, sacraments, duties of priesthood, and more. On the divine end, Knights explores the personality, background, abilities, and responsibilities of the various divine beings in each religious hierarchy. Whether you want some ready-made religions, a source of ideas, or just a few examples to follow, your search is over." "One of the best parts of roleplaying is the opportunity to explore strange, new worlds. Now Chessboards: Planes of Possibility provides gamernasters with the first organized, flexible system for designing and evolving game environments. This fun-to-read book covers such topics as the various types of planes and their relationships, planar growth cycles, ways to planes, and several varieties of interplanar travel. 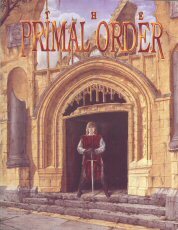 For those using The Primal Order, it also includes expanded guidelines on planar use of primal energy, planar artifacts, and advanced interactions between planes and deities. Five sample metaplanes provide inspiration and illustrate important concepts. Usable with any roleplaying system, this reference work will give GMs the tools they need to create exciting new planes, run multiple settings in one campaign, or link several campaigns into one logically organized multiverse. 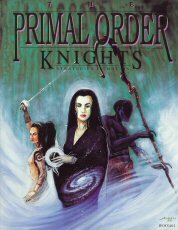 Keep in mind, The Primal Order is what is called a capsystem -- a system of rules designed to be an extension of any game system on the market." Copyright © 2015, Waynes World of Books. All rights reserved.